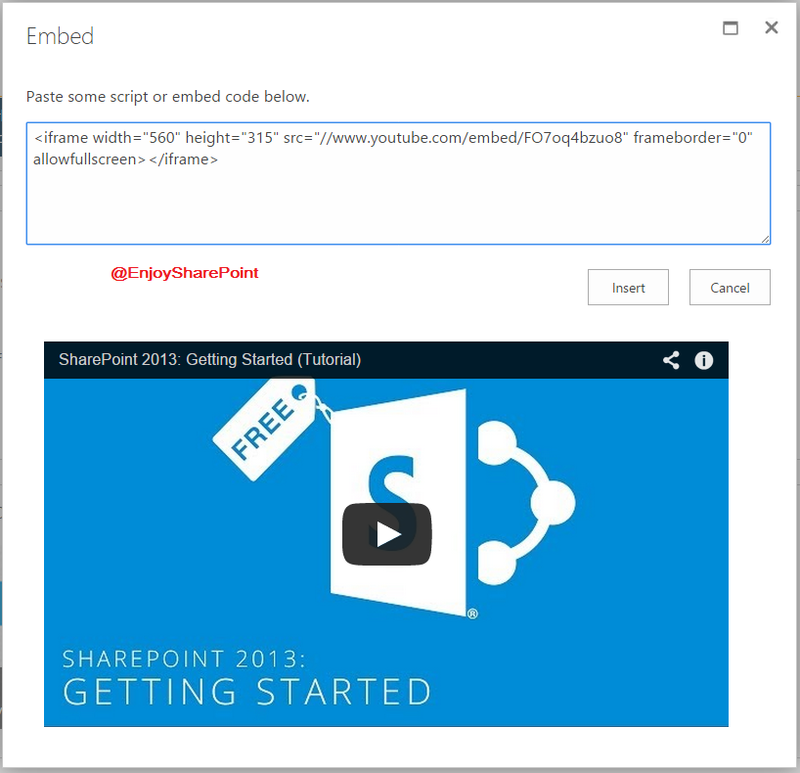 In this post we will discuss how to insert Youtube videos to SharePoint 2013 page using Embed code. 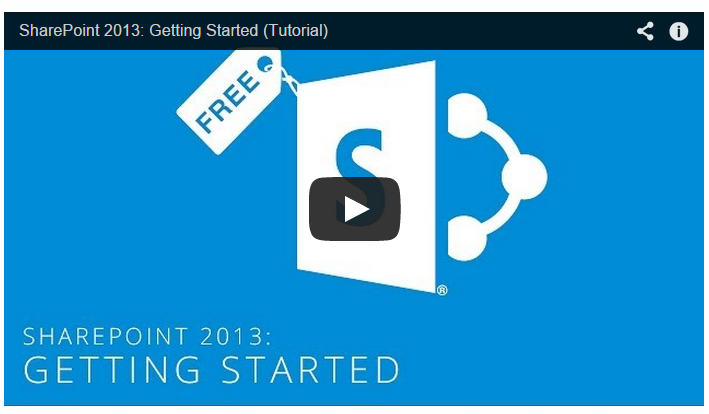 Then Open your SharePoint 2013 site and then from the settings Icon, click on Edit page. Then from the Ribbon click on INSERT tab and then click on Embed Code. Then in the Embed dialog box, paste the Youtube code which we have copied in the above step. Then click on Insert. Here it will also show in the preview.